Dr. Comfort Marla style shoe for women is a machine washable, double-depth diabetic shoe. Made of lightweight stretch Lycra with a two-way Velcro closure for extra flexibility, this shoe is designed to accommodate foot deformities such as bunions or hammertoes, yet holds its shape after hours of washing. Our Women's Double Depth Collection features our most popular styles enhanced with extra depth providing the perfect fit for people who require extra volume. 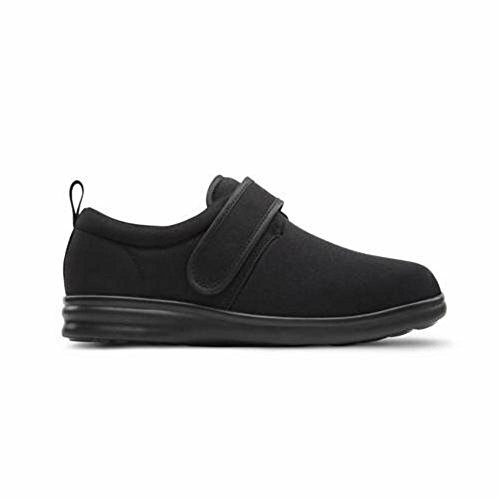 One Strap Velcro closure - Lightweight casual shoe that is washable.